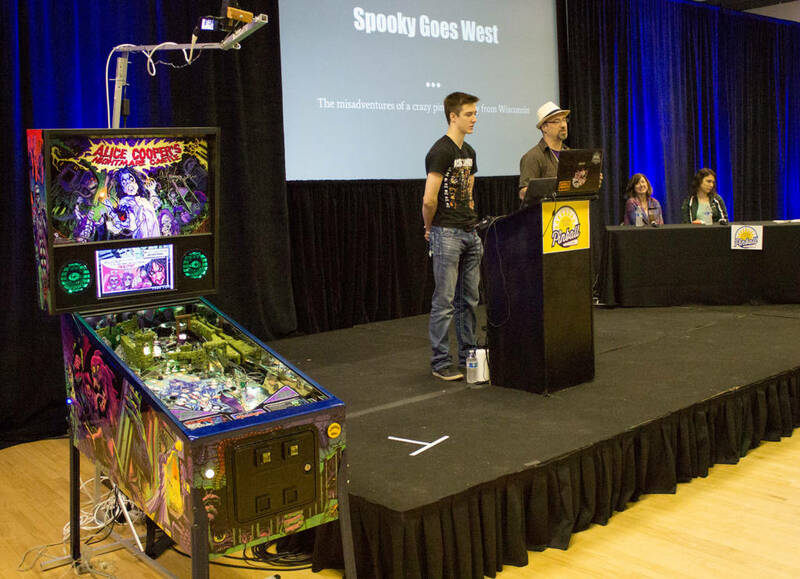 https://www.pinballnews.com/site/wp-...8-1024x741.jpgThe Spooky Pinball teamCharlie Emery narrated a picture and video slideshow looking at how their games are made and some of the personalities involved such as Rob Zombie and Alice Cooper. 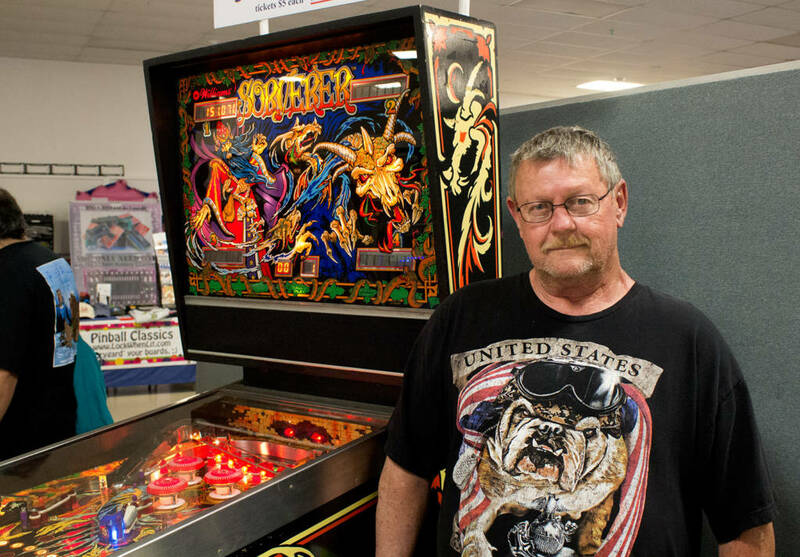 https://www.pinballnews.com/site/wp-...8-1024x714.jpgCharlie talks about working with Alice CooperCharlie then moved to the Alice Cooper game to demonstrate the shots, and show how the features and rules work. 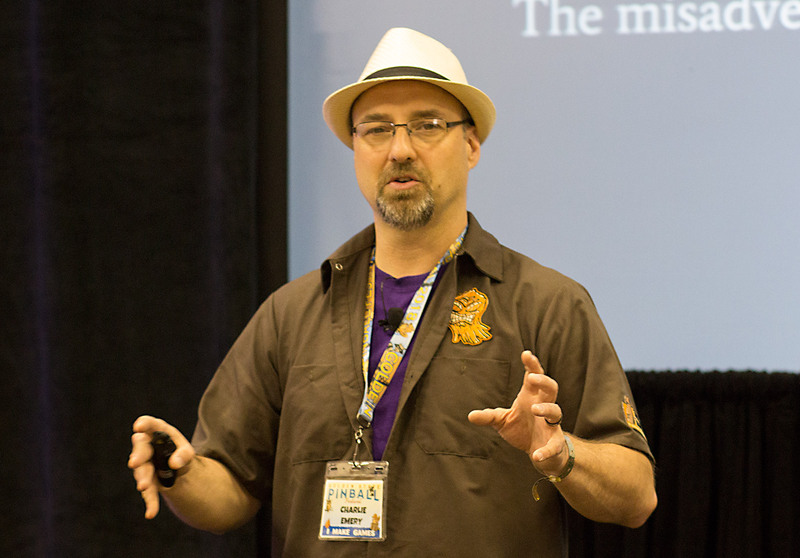 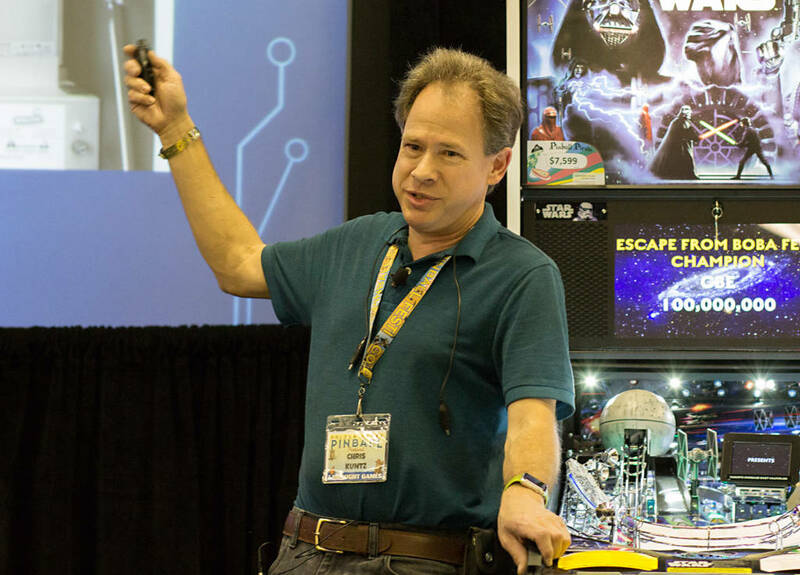 https://www.pinballnews.com/site/wp-...8-1024x709.jpgDavid VolanskyAfter examining a number of case studies where faults were diagnosed by using the schematics, David explained how an electromechanical pinball’s electrical system works and broke it down into the key sub-systems such as the score motor and the score reels. 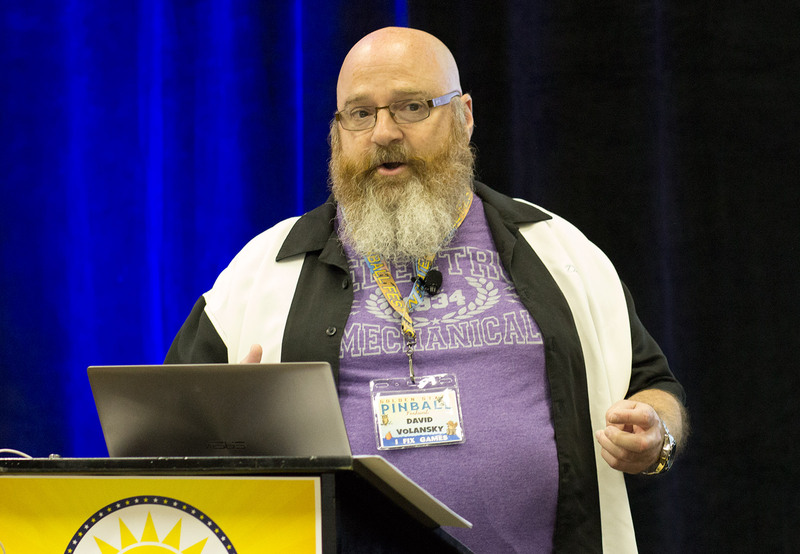 https://www.pinballnews.com/site/wp-...8-1024x736.jpgChris KuntzHe described the differences between the previous generation of control boards – the SAM system – and then how the first generation of Spike compares to the current second generation which can drive colour LCD monitors. https://www.pinballnews.com/site/wp-...8-717x1024.jpgThe Steve Charland Spirit AwardIn the pin-golf tournament, the winner was Per Schwarzenberger who finished ahead of second place Nick Fitzpatrick. 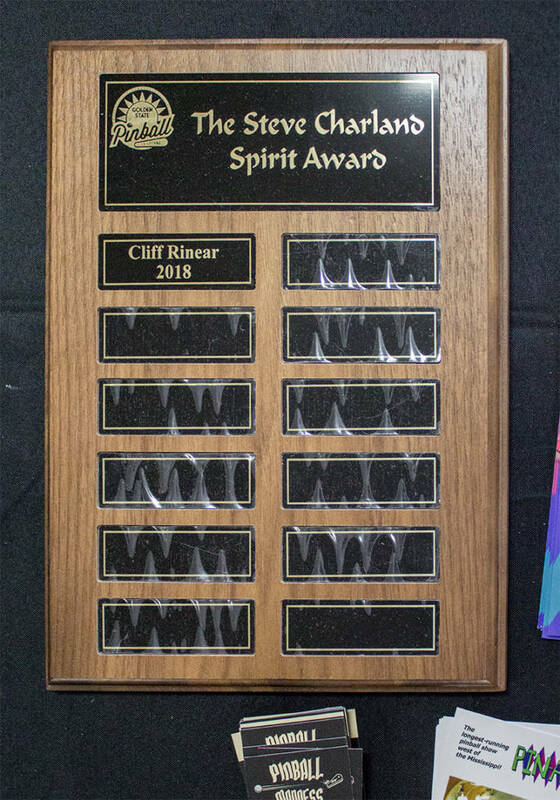 Brian O’Neill was third and Nic Stein fourth. 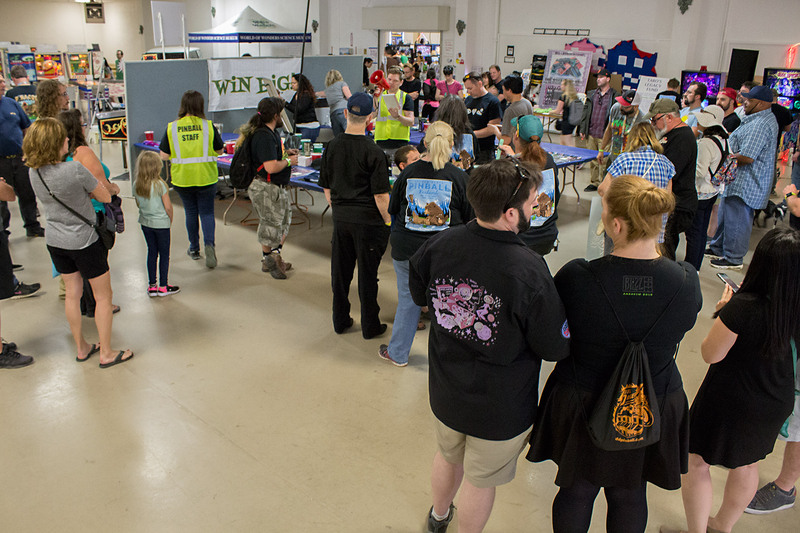 Full results are available at: gspf.tomlogic.com. 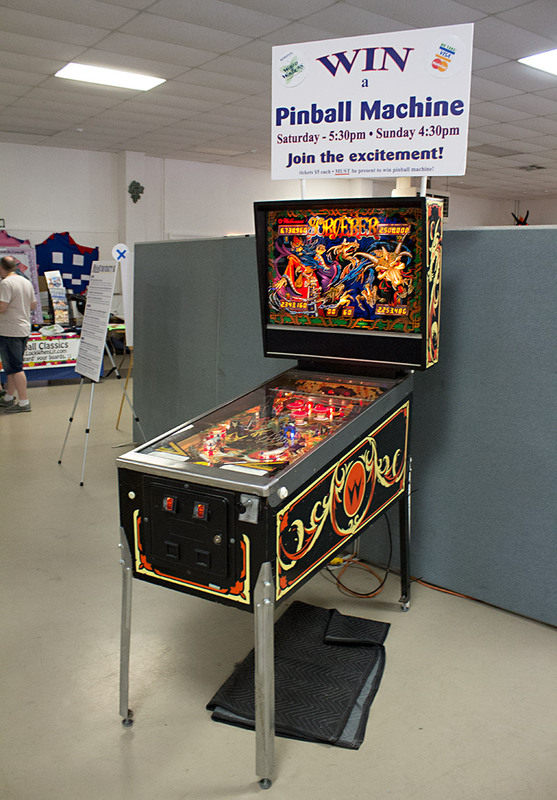 https://www.pinballnews.com/site/wp-...8-714x1024.jpgSunday’s prize draw machineThe draw took place at 4:30pm. 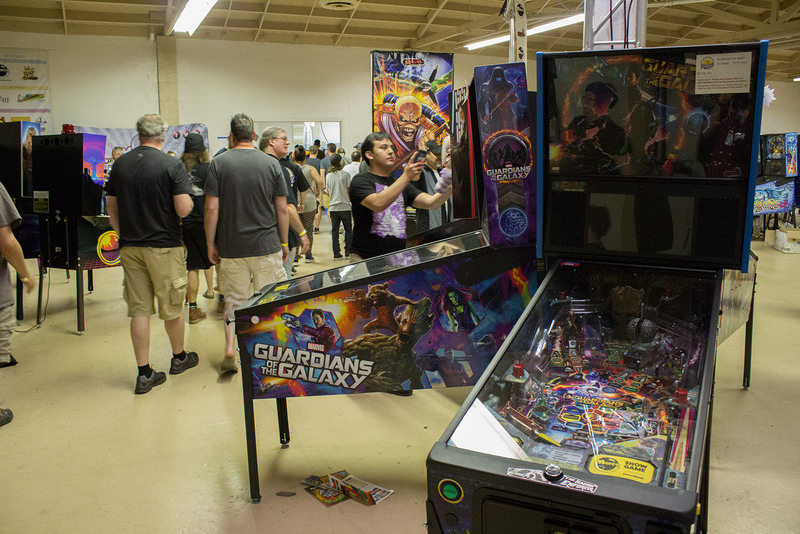 https://www.pinballnews.com/site/wp-...8-720x1024.jpgThe winning ticket is chosenThe winning ticket was bought by Michael Bender. 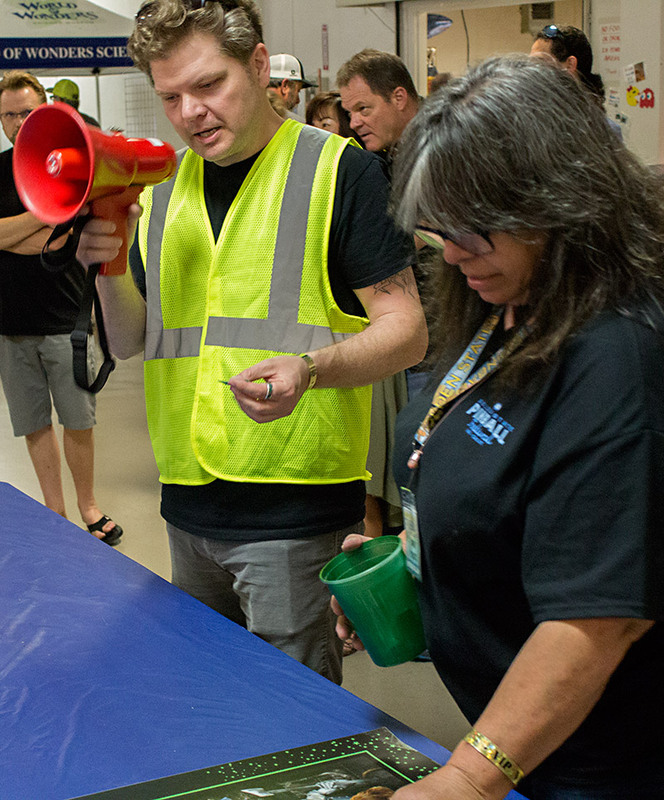 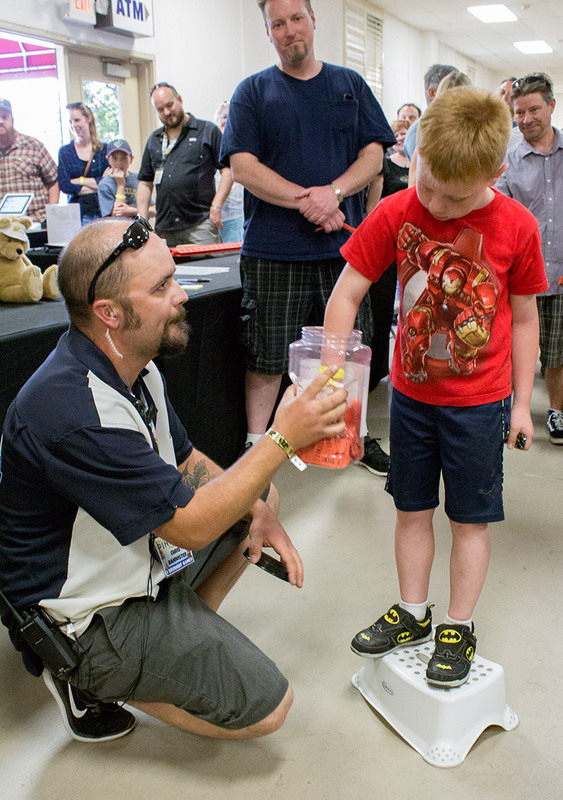 https://www.pinballnews.com/site/wp-...8-1024x682.jpgThe crowd waiting for the winning ticket numbers to be announcedhttps://www.pinballnews.com/site/wp-...-gspf-2018.jpgAnother winning ticket is drawnBy the time all the prizes had been awarded (no, I didn’t win anything) it was just about 5pm which meant the end of the show and the turning off of power to all the machines. 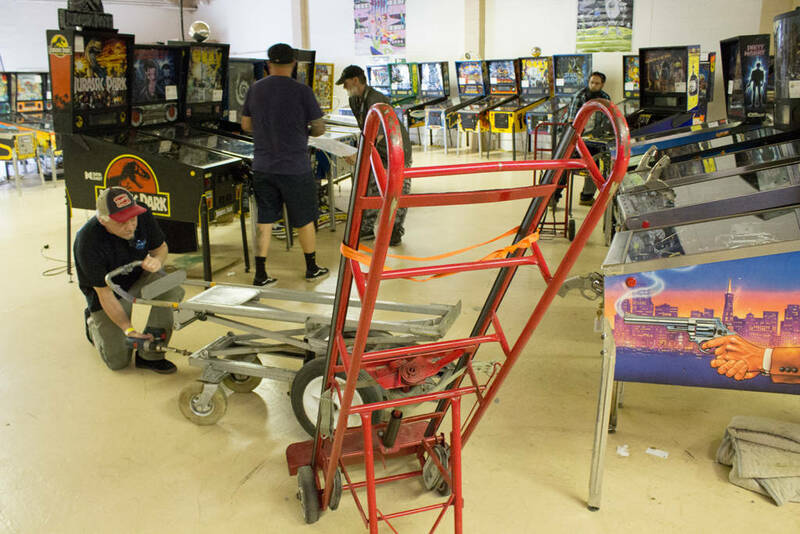 https://www.pinballnews.com/site/wp-...8-1024x683.jpgI have the power..oh wait, no I don’tThe packing away of stands and machines then began in earnest. https://www.pinballnews.com/site/wp-...8-1024x683.jpgShow’s overAs a memento of their contribution to the show, all machine donors received this commemorative fob for their keys. 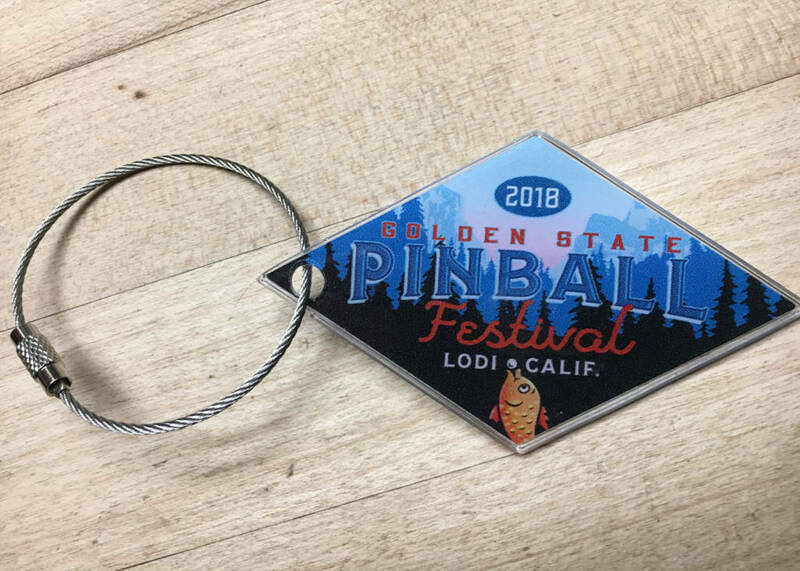 https://www.pinballnews.com/site/wp-...8-1024x731.jpgThe GSPF 2018 key fob for all machine donorsAll of which brings my Golden State Pinball Festival 2018 coverage to an end.